Click here to find out what's happening this week! Click here to find out about this term in nursery! 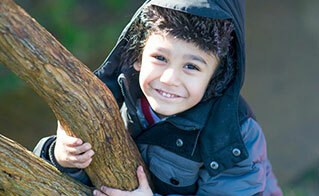 We hope you find this website a useful introduction to Midland Road Nursery School. We are now part of the Aire Valley Nursery Schools Collaboration, Please click Here for the Acting Executive Head Teachers newsletter where you will find out more about this exciting development.. If you are looking for information about our Nursery School please go to the “Nursery Provision” section. If you would like more information about our partnership with the Bradford West Family Hub please go to the “Family Hub Service section”. In the section on ‘Training and Consultancy’ you can find out more about our work in supporting other schools and settings. We hope these areas of the website provide you with a clear overview of our work and the information you are looking for. In the ‘You and Your Child’ section there is also a wealth of information which we hope will support the families in our community, including information on trips out and children’s development. We have worked hard to make sure that our website is as friendly and useful as possible. Please note all main pages can be translated using Google translate which is at the top of each page.